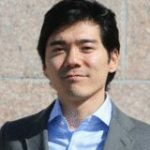 Seiya Vogt, Vice President of Marketing and Growth at Boxed, described tactical approaches to acquisition marketing. At the outset of the first keynote presentation of the day at the 2019 Growth Forum: Becoming a Digital First Company, held on April 3 in New York City, Vogt explained that his job is to understand how people hear about Boxed, how they come to the website, and what interactions they’re having with the platform all the way through to their first purchase and post-purchase engagement through email, social media, etc. “I’ll be getting tactical when I talk about how we do things at Boxed,” he said. Vogt began by describing the mission of Boxed as the easiest way to stock up and save on household essentials. “We’ve been called the Costco for Millennials. We have about a hundred different products ranging from nuts to paper products to pet products to seltzer. Although we sell household products, we’re a tech company first. We launched our robotics team in 2018 to automate some of our facilities,” he explained. “Our strategy for acquisition is to be relevant to the customer with every interaction. One of the components of this strategy is personalization to create the best possible user experience. For us, this is based on knowing the customer and their shopping behavior, and continually optimizing for that; an in-house creative team that partners closely with data-science and product teams; taking risks and constantly testing how people use our platform; and being consistent in showcasing our values and telling our story,” said Vogt. “First, you need to start with the science of the customer. We partner with our data-science team to generate data models, so we’re able to group clusters of customers using demographics layered in with behavioral factors. We look at how much revenue we’re getting from each customer segment and the activity score for the various groups. Another piece of data is what each customer segment wants. For example, older, empty-nest women are the main purchasers of Miracle Whip,” he noted. “We took about 60 different factors and grouped users together into a simple RFM (recency, frequency, and monetary value) model and then ranked cohorts. We then target our messaging based on the cohort. Best customers act differently. They spend less time between orders but spend more time planning and building their cart. They typically don’t browse,” Vogt observed. “Part of our tactical approach is focused on creating a relevant landing experience by offering a coupon for an item that would likely be of interest to the customer or featuring an offer that expires in a certain amount of time. We have a timer on the site. We personalize the experience after we capture an email address by paying attention to every touchpoint and consolidating them into one flow. We operationalize what works. We did a campaign in which customers saved $10 when they spent $50 or more, saved $15 on $75 or more, and saved $20 on $100 or more. We discovered there were 30% more redemptions on the lowest offer, and there was a 10% increase of GMV with this offer compared with other creative tests,” he said. Figure out your target—both real and exploratory—and cohort them into groups for targeting. Perform continuous testing and active personalization. Engage with your users both on-site and off.